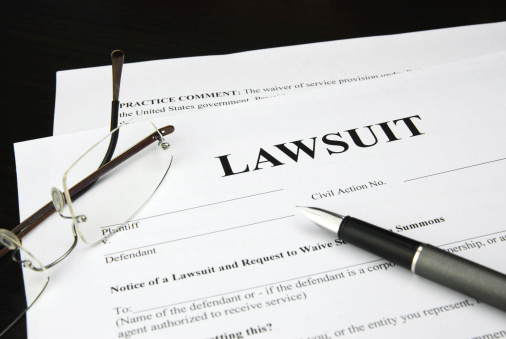 You will find many articles, from us and other websites, regarding timeshare owners suing timeshare companies for various reasons. These articles have helped many timeshare owners gain the confidence to do the same. If owners feel they have a case, what happens if a timeshare company decides that they are going to sue the timeshare owner? In this article we discuss what happens when the timeshare companies decide to turn the tables. The most common reason a timeshare company may decide to sue a timeshare owner is failure to pay their fees. Maintenance fees can be extremely high, they can increase on a yearly basis and soon become unaffordable to the owner. Many people have found they are unable to pay their fees whereas, others are no longer willing to continue paying them. Being unable to pay your bills can be unbearably stressful, but failure to do so can have an adverse effect on your credit rating. Further stress is then brought on demands sent by post or continuing phone calls until the outstanding balance is paid. When you find yourself unable to pay bills, many companies will allow you to set up some sort of payment plan, unfortunately this is not the case with many timeshare resorts. The timeshare industry is ruthless, from the moment you step into the initial presentation and throughout the term of the agreement. You are likely to come up against a brick wall of harassment and persistence from the timeshare company. All timeshare companies want is your money and in some cases, by any means necessary. If you find that you are being sued by the resort seek assistance straightaway as it won’t be easy to deal with them by yourself. The easiest way to avoid legal action is to continue paying your maintenance fees. Once you have decided to dispute your contract and go to court, in most cases it still advisable to pay your fees so that the timeshare company doesn’t decide to go ahead and counter-sue. If you find that you are not in the financial position to continue making your maintenance payments, you need to take action straightaway. Start by compiling a detailed account of all your incomes and outgoings and contact a specialist in timeshare law. Although easier said than done in some cases, keep a level head and try not to let the situation cause further stress. No matter how ruthless a timeshare company can be, there is very likely to be a way out. Getting help from someone who is an expert in the timeshare industry will really reduce the pressure. They will deal with all the stressful elements for you. The first thing a timeshare expert will do is assess your timeshare contract to see if there are any illegitimate clauses contained that can help get you out of your contract. They will also advise if there are any other things that can help release you from your timeshare contract. Although it is unusual for a timeshare company to try and sue you for other reasons than non payment of fees or other financial matters, there have been reports of unscrupulous resorts trying to so. Reasons could be anything from failing to comply with the rules detailed in your contract to the condition they say the unit was left in. Whatever reason a timeshare company uses to justify bringing a case against you, it is imperative you seek guidance and help from an expert in timeshare law and all aspects of the industry. You would always seek legal advice in situations where legal action is brought against you, the timeshare industry is no different. The timeshare industry has received many hits of bad press and numerous amounts of cases against them being won. This is forcing timeshare companies into a ‘fight or flight’ situation. Some are running scared, while others are using intimidation tactics in the hopes of preventing further resistance from timeshare owners. If you would like further information about anything mentioned above or other timeshare help contact Timeshare Advice today on 0800 0724683. See our recent post regarding using a timeshare expert.